Post Black Friday, it feels like everything is starting to calm down. All the big products are out and about and ready to purchase for filing under those trees and in those stockings. And then we got a host of product announcements. We learned about the Go2Sleep Ring, which wants to tackle sleep apnea, the Aura smart band, which tracks body composition, and a brand new Oura Ring, which comes with a new look and the ability to help sync your life to your circadian rhythm. The Apple Watch wasn't out of the news though, with the FDA clearing the KardiaBand, the first accessory for a smartphone to get FDA approval, and Apple itself launching a study in collaboration with Stanford to research irregular heartbeats. But that's not all that happened this week. There were a good handful of smaller stories from the week, too. As always, you can head to our dedicated news section for even more of the news. If you're a big fan of the many improvements Android Wear 2.0 made over 1.0, you have David Singleton, Google's vice president of engineering, to thank. And now he's left the company to go work for Stripe, according to Axios. He was in charge of not only Android Wear, but Google Fit. He was also a big driver of fashion companies like Fossil jumping into the Android Wear world, giving us a whole bunch of really good, and good looking, smartwatches to wear. 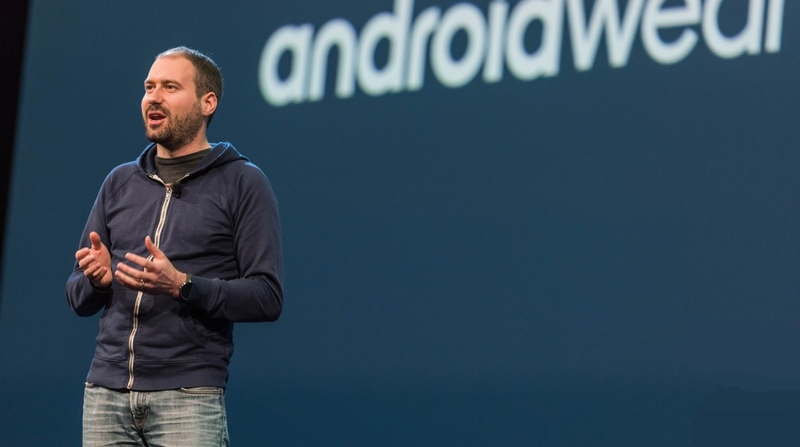 Let's not understate it: This is a major blow to Android Wear, and it'll be interesting to see how Google handles its smartwatch operating system now that one of the key architects has departed. Insurance companies love wearables because they can help keep customers healthy for a low cost, meaning fewer trips to the doctor and more money for them. UnitedHealthcare had an employer wellness program that provided Fitbits to employees and offered incentives to those who walked. However, now it's changing it up and also offering Samsung and Garmin devices, and plans to open up support for even more devices in the future. Why? The insurer found that because health is so personal, people preferred to bring devices they were comfortable with rather than being forced to wear something. Thus far, UnitedHealthcare has given out $19 million in incentives for activity tracking. About a month ago Revolar, maker of women's safety wearable Instinct, abruptly went out of business. This week it's back in business after two investment firms in Denver, Colorado invested $3 million in the business. With that money, the company hopes to rehire employees laid off last month. Revolar ran into supply issues that forced it into bankruptcy, and new investors say those supply issues have been resolved and the company is good to go. Silicon Labs this week unveiled a new line of heart rate sensors with built-in ECG. This basically means that wearable devices that use the sensors would be able to get real-time heart rate data. There have only been a few wearables with ECGs built in, like Huami's Amazfit. Silicon Labs says its new sensors are also consume little power, which means its sensors would be able to provide accurate continuous heart rate results all day with little power consumption. As you may have noticed, heart rate sensors in a lot of wearables check your heart rate ever couple seconds.